Miller Performance is proud to offer some of the best quality performance pistons available for your M52, S50 or S52 engine. 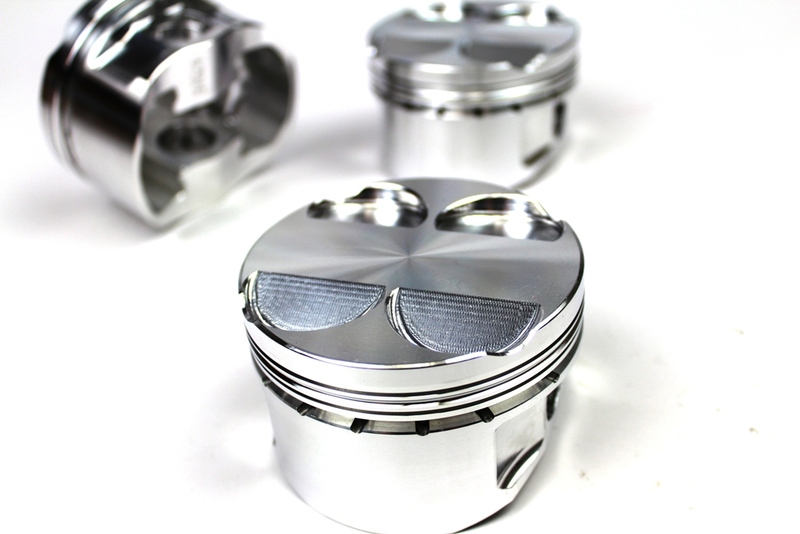 We handle the machining of our pistons allowing us to provide pistons to suit any application. Available in compression ranges from 11:1 up to 14:1 we have just what you need to help acheive your power goal. A standard feature found on our pistons are the double pin oilers with banana groves. This feature is rarely found on other "generic" pistons and helps increase lubrication on top of the wrist pin. This ensures extra lubrication and better longevity. Internal milling helps further reduce the weight of the piston. By removing excess material from the underside of the piston, we are able to "cut the fat" and create a more consistent material thickness where it matters most. Most after market pistons do not come standard with internal milling and increase the cost significantly from their shelf price. Our wrist pins included with our pistons are machined from 4130 Chrome-moly. Unlike other wrist pins that are rolled, our machined pins offer far greater strength and durability. Our wrist pins also feature a machined chamfer which is a superior method used to prevent the lock from ever popping out.